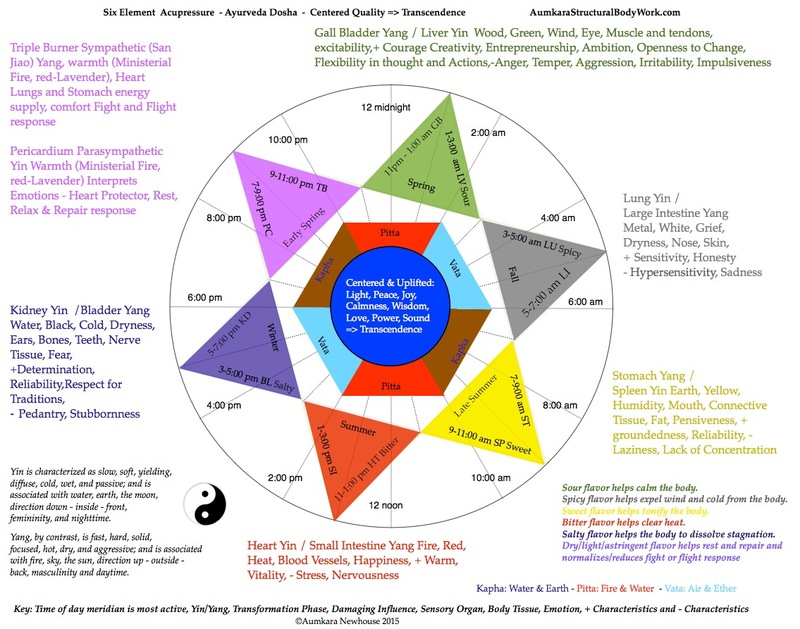 The word Acupressure come from Latin - acus for needle + pressure is an alternative medicine technique similar in principle to Acupuncture and in fact may predate acupuncture. It is based on the concept of life energy which flows through "meridians" - channels or circuits - in the body. In treatment, light physical pressure is applied to acupuncture points with the aim of clearing blockages in these meridians. I use my fingers to apply pressure and, if the point feels painful, clockwise or counterclockwise rotations are used depending on the meridian and its direction of flow. Pressure may be applied by hand, by elbow, or with various devices. As the meridians are in facial planes with muscles associated with them, when a flow is established muscles spontaneously relax. This has worked on many issues from rotated pelvises, menstrual discomfort, TMJ, neck pain to shoulder issues. Meridian Charging Therapy works because muscles, bones and fascia all are Piezoelectric. Piezo is the Greek word for pressure and when bones, muscles or fascia are distorted, they create a dc electric current. This electric current, electrons with force behind them, can and does force chemical reactions to go such as the production of Adenosine Triphosphate (ATP) the workhorse for muscles in the body. With ATP available, muscles can change their state; locked muscles are released to functionality. This current also charges the other muscles on the meridian and the associated organs. The Pericardium (PC) is often the first meridian to be stimulated as it is activated for rest, digest and repair during parasympathetic response to life events. When the Rest and Repair circuit is turned down blood flow to internal organs reduces. This reduces digestive juice production and strength - example: stomach acid reduces in strength which in turn limits the product/release of Cholecystokinin (CCK or CCK-PZ; from Greek chole, "bile"; cysto, "sac"; kinin, "move"; hence, move the bile-sac (gallbladder)) is a peptide hormone of the gastrointestinal system responsible for stimulating the digestion of fat and protein. Without bile release into the stomach you do not heal as you do not break down the fats and proteins to building blocks the body can use. As the body worked hard to create bile it holds it until needed and useful. In short, the body will pull liquid from the bile concentrating it to conserve it. Blood flow to the frontal lobes of the brain is also reduced so it is difficult to make a healthy decision or decide at all! A bit like a squirrel on the road. Sound like an issue? Next in the flow is the Triple Heater (TH or Triple Burner TB) meridian as it is activated for fight or flight during sympathic response to life events. The three “heaters” for the body are the Stomach, Heart, and Lungs. When the fight and flight response is activated, it pulls blood and electricity from the stomach heart and lungs and puts it in the outer muscles. It also reduces blood flow to the frontal lobes adding to a squirrel like reaction to life events. Has been tagged the “neck ache/headache/upper backache circuit”.